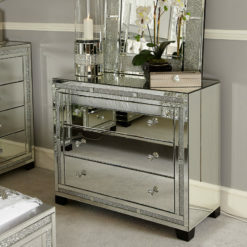 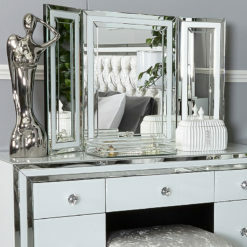 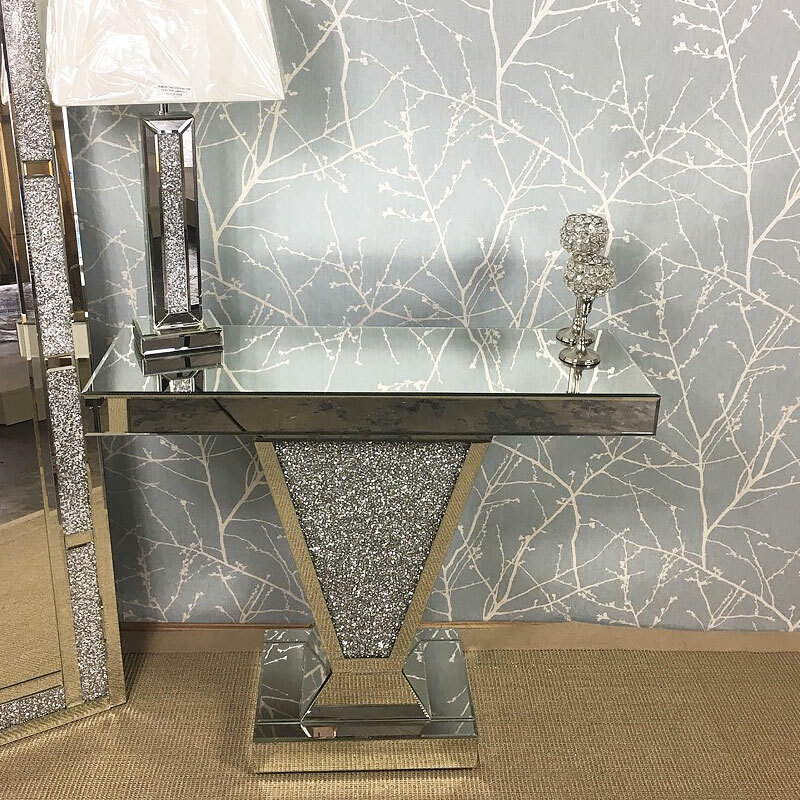 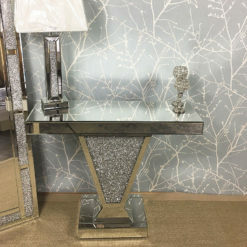 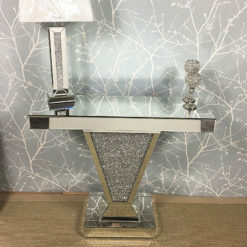 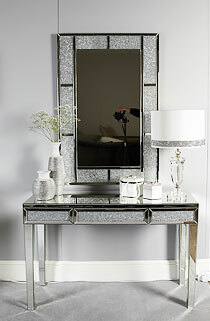 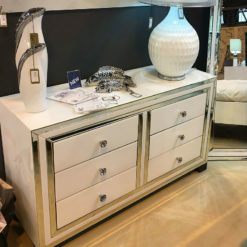 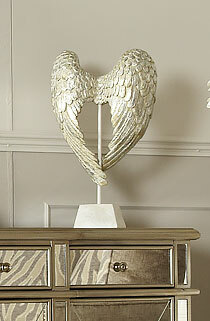 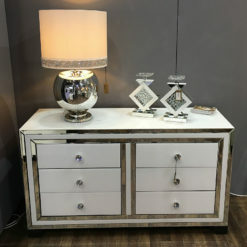 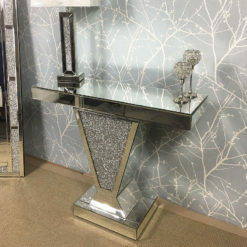 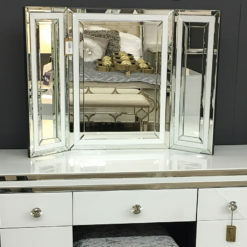 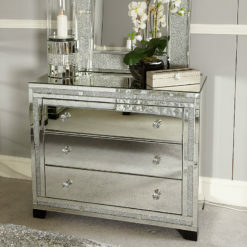 Gorgeous Crushed Crystal Mirrored “V” Shaped Console, Display or Dressing Table. 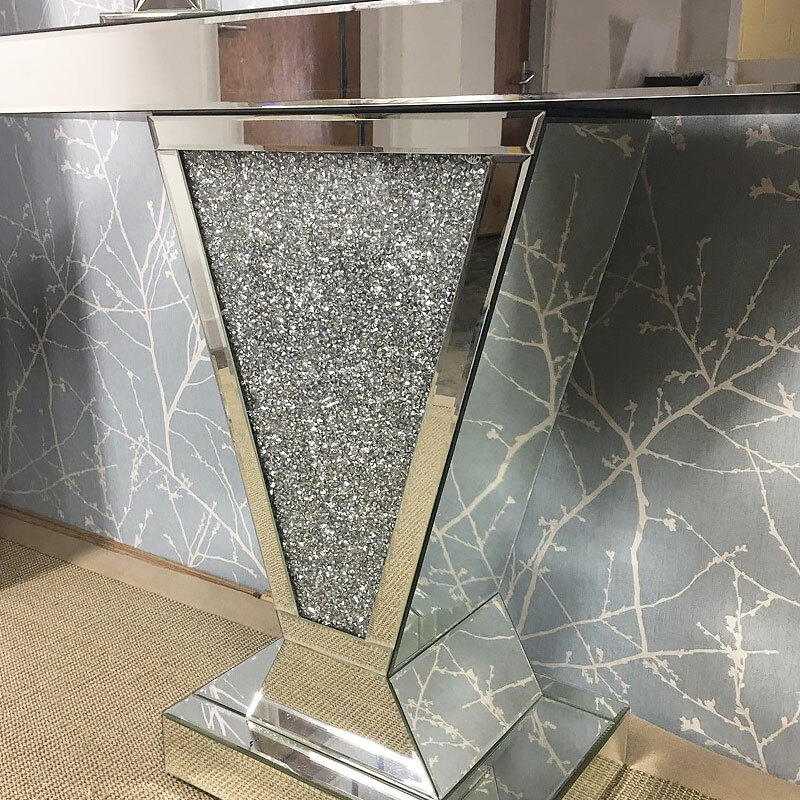 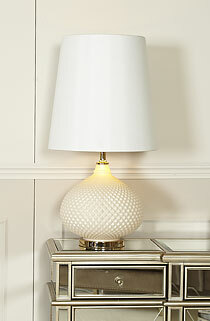 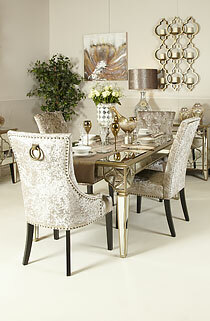 Inlaid with a “V” shaped panel of sparkly mirrored crushed crystals. 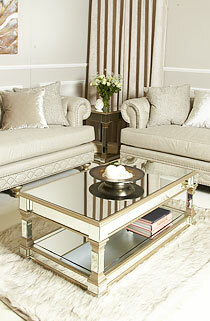 Contemporary mirrored display table with reflecting qualities.